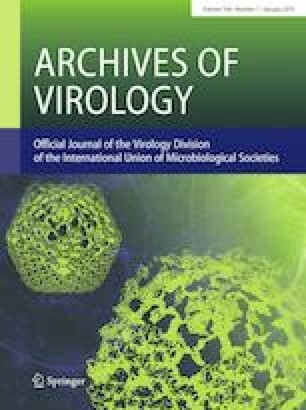 Australian bean common mosaic virus (BCMV) isolates were sequenced, and the sequences were compared to global BCMV and bean common mosaic necrosis virus (BCMNV) sequences and analysed for conserved potyviral motifs to generate in planta RNA-interference (RNAi) resistance. Thirty-nine out of 40 previously reported potyvirus motifs were conserved among all 77 BCMV/BCMNV sequences. Two RNAi target regions were selected for dsRNA construct design, covering 920 bp of the nuclease inclusion b (NIb) protein and 461 bp of the coat protein (CP). In silico prediction of the effectiveness of these constructs for broad-spectrum defence against the 77 BCMV and BCMNV sequences was done via analysis of putative 21-nucleotide (nt) and 22-nt small-interfering RNAs (siRNAs) generated from the target regions. The effectiveness of both constructs for siRNA generation and BCMV RNAi-mediated resistance was validated in Nicotiana benthamiana transient assays. The online version of this article ( https://doi.org/10.1007/s00705-018-4065-6) contains supplementary material, which is available to authorized users. The authors would like to thank Queensland Alliance of Agriculture and Food Innovation (QAAFI), Australia and the University of Queensland, Australia, for their support. This study was funded by the Accelerated Partnership Grant, Queensland Government (2014000652), awarded to N.M. with Nufarm Australia Limited as the industry partner. E.A.W. PhD programme with N.M. is supported by a scholarship from the University of Queensland. The datasets generated and/or analysed during the current study are available in the NCBI GenBank repository, https://www.ncbi.nlm.nih.gov. Only complete genomes of BCMV and BCMNV were used.